Gone are the days of jarred, pureed peas being the gold standard for baby food. 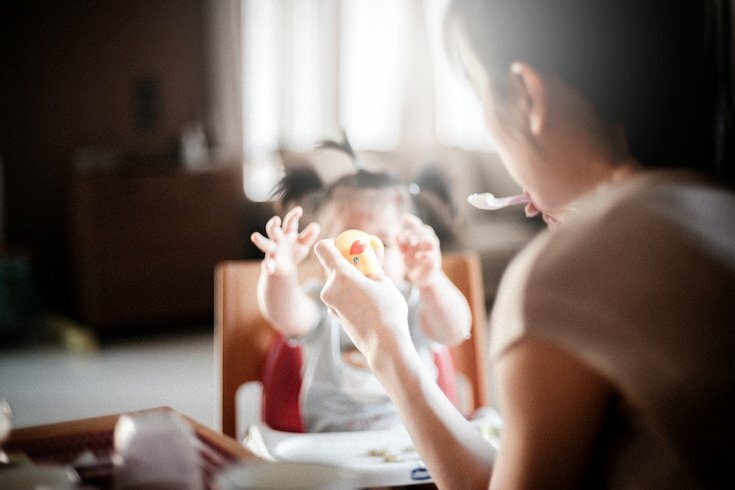 As millennials push for better quality foods and more natural ingredients for themselves, these efforts have trickled down to the little ones. While some parents prefer to prepare baby food at home, that’s not feasible for every parent. Many parents rely on high-quality foods from the market for easy and nutritious meals. Nutrient-packed baby food options are filling shelves. And what do the top baby food brands have in common? They’re organic — and some experts believe that’s one of the most important things to see on the label of your baby’s food. USDA certified organic foods are grown and processed according to federal guidelines addressing, among many factors, soil quality, animal raising practices, pest and weed control, and use of additives. Meaning, they are grown or processed without pesticides or synthetic fertilizer and won’t contain any harmful pesticide residue. The U.S. Department of Agriculture (USDA) provides organic seals for products that contain various percentages of organic ingredients — but the USDA makes no claims or guarantees that organic foods are safer or more nutritious than are nonorganic foods. This is an oatmeal made of oats, amaranth and quinoa, blended with a variety of vitamins, probiotics, choline, and DHA. The vitamins include vitamins A, B6, B12, C, D, and E, along with a good amount of iron, calcium, folate, and riboflavin. Choose to mix the cereal with breast milk, formula or water — it’s a great way to introduce solid foods and new textures. A six-pack is available on Amazon for $19.91. A line of organic products that can stick with your kid through his toddler years and even school days, Plum Organics is a well-respected brand that aims to make healthy food something kids want to eat. They offer delicious flavor options, smooth textures, and responsible and sustainable ingredient sourcing and manufacturing processes. All of their organic baby food options contain lemon juice, vitamin C, and/or citric acid, which add nutrition and taste while also serving as a mild preservative to prevent spoiling. An 18-pack is available on Amazon for $23.84. Pure Spoon works with a licensed pediatric dietitian to ensure every recipe is individually created to offer the most nutrition possible, while keeping it yummy. All recipes are hand-made using only fresh produce which remains raw or is lightly steamed for maximum nutrition and flavor and they use High Pressure Pasteurization (or HPP), which pasteurizes food without the use of chemicals or nutrient-depleting high heat. Pure Spoon offers a myriad of sample packs, as well as individual servings, on its website. A revolutionary brand in the world of baby food, Sprout was the first to put baby food puree in a pouch. They offer fruit, vegetable and grain blends. Plus, Sprout has handy products for when baby gets older like their Teetherz — wafers that are gentle on gums and have a soft, quick-dissolve texture that melts easily in little mouths. Pack of 12 available on Amazon for $18.99. If you’re looking for a dairy-based formula that mimics breast milk, Earth’s Best is a prime option. The formula has no added corn syrup solids, but does contain DHA and ARA — both naturally occurring in breast milk — to support brain and eye development. It also contains lutein for the eyes and prebiotic fiber for immunity. Pack of four available on Amazon for $114.16.